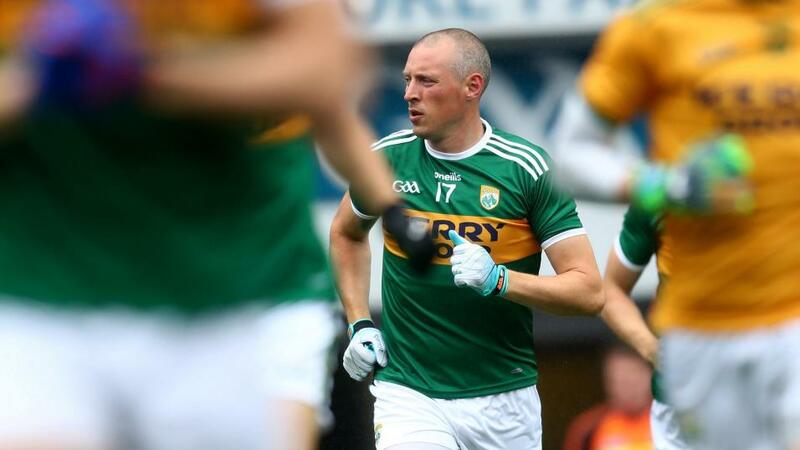 Could Kieran Donaghy make a return to the Kerry side? "I do expect Kerry to win, I think it will be a battle, I say this in all honesty, Kerry will have to go to war on Sunday and that is the bottom line. They must be better in every element of the game, the running, the passing, the kicking, their slickness, their hand passing. It's an extremely tough game but I must go with Kerry to win." Your claim that Kerry could hammer Galway last week caused a huge stir, how do you feel now after Kerry ended up being beaten? Well I suppose, I said that Kerry could possibly hammer Galway, and I still stand by it. I was thinking if Galway came out the way they went out against Roscommon that Kerry would pepper them. What I didn't count for was how poor Kerry would be in all areas. Starting at the back, I thought the goalie was poor, I thought the kick outs were poor, I thought our defence was poor, Galway could have been out of sight 10 minutes into the second half. I was disappointed the way Kerry played a sweeper, I was disappointed Kerry didn't push up on kick outs. I was saying about the speed of Kerry and outside of the first 10 minutes we saw none of that which was extremely disappointing. Kerry's backs are to the wall now and they have no choice but to turn it around, for me, they didn't stick to the plan that got them through Munster, I thought it was a very poor performance in every way. After the game, many pundits now believe Galway are the real threat to Dublin? Do you agree? Galway didn't dominate the game against Kerry. Yes, there was a lot to admire about the performance from work rate to winning midfield, to how organised they were but I don't think the performance Galway put in against Kerry on Sunday would be good enough to win an All-Ireland. They will get better too as the season goes on I do believe that though. At this stage, a lot of us are jumping from match to match and making assumptions. I think we maybe need to let the Super 8s play out and then see where we are. Galway the biggest challenge to Dublin? I'll have to reserve my judgement on that. What team stood out in Round One of the Super 8s? You would have to say Tyrone. They improved a lot from what I had seen, you couldn't judge them on Cork and they certainly improved from what we saw against Monaghan at the start of the season, but again, I'll stick to my guns, I don't think their running game can win an All-Ireland and I think that this weekend will tell us a lot about them. Roscommon were very porous at the back. Now Tyrone are the best running team in the country but that is their only outlet, they are very one-dimensional. They are extremely organised but I question them as Roscommon were nowhere near the threat that they will face this weekend. This is a great weekend, even more so than last week, all the teams that lost are in the last chance saloon, we should have some cracking games and I am looking forward to it. A huge game for both, the year is over for either of them if they lose. Donegal for me, I felt they could have driven at Dublin that little bit more in the last 15 mins of the game last week. They create a lot of chances, they surprised me, I didn't expect Donegal to play as well as they did. They did miss Patrick McBrearty but this match is set up for Donegal. I think they will feel that they let Dublin off the hook a little. I still have questions about their defence, but are Roscommon a good enough team to test this Donegal side? Not for me I would have to say. I think it will be a win for Donegal, their back is against the wall and I think they will perform and I expect to cover the handicap. Both will come in confident, Tyrone can look at last week's performance where they scored 4-24 and say 'where can we improve?' and it would hard to say where. My problem with Tyrone is that are facing a Dublin team that will have been very disappointed in last week's game, I think they will feel they just weren't very clinical in front of goal. Dublin just didn't take their chances the last day, Jim Gavin will not stand for that. These Dublin boys are outstanding and they demand perfection and they weren't near that last weekend. They will be under huge pressure to perform. The winning and losing of this game is how Dublin will deal with Tyrone's running game, I expect Tyrone to push up fully on Dublin's kick outs and force long balls from Stephen Cluxton. Dublin's defence seems to be improving as the year goes on and that could be a big problem for Tyrone. No matter what anyone says though, Dublin are not purring the way they have in the past. This is the type of game to focus their minds, I expect Dublin to win and again cover the -4 handicap. I think Kildare have had a tremendous season, and last week's game against Monaghan could have gone either way. If Kildare had taken an extra chance or two, then they would have won. They carried ball into contact too often against a physical Monaghan team. Kildare try and play the game the way it should be played and they have been a joy to watch. Some will write off their chances this weekend but I wouldn't go that far. Tight pitch, big crowd, home support, this is when surprises happen. Galway played well against Kerry the last day but they are going to have to bring that performance and more to win this one. This is going to be a very close game; I think Galway will win but with so little in it, Kildare on the +2 handicap looks the way to go. This is the biggest game that Kerry have had in a long time. If they lose, they're gone. There is a lot of talk around Kerry, are these lads too young? I do not buy into that, if these lads are playing with Kerry they are good enough, I believe that. It was however a complete and utter meltdown against Galway last weekend, the team imploded. They had a bad day on the field so the players need to look at themselves but so do the management team. That match was made for Kieran Donaghy, when a big man was needed inside to win ball, I can't believe he was not brought on. On the flipside, it is a huge game for Monaghan whose confidence will be up after beating Kildare last weekend. If they win this they are in the semi-final of the All-Ireland, somewhere this team have never been, this is the next step for them and they will be desperate for it. If they lose they will be in a dogfight with Galway next weekend. That makes this game so big, it is make or break for both sides but obviously, the spotlight will be shining on Kerry. I can see Monaghan going in hard early on Kerry as the main call you will hear from the Kerry dressing room is 'get a good start lads', all the players that were quiet the last day need to get going early. Kerry, have a huge amount to improve on and they must do that to win. I do expect Kerry to win, I think it will be a battle, I say this in all honesty, Kerry will have to go to war on Sunday and that is the bottom line. They must be better in every element of the game, the running, the passing, the kicking, their slickness, their hand passing. It's an extremely tough game but I must go with Kerry to win.